You’ve made it! They’ve seen your resume, read your cover letter, and want to talk with you. The hard part is over right? Not exactly. While you made it past the first round of tests, job interviews are where companies really get to know you. It’s also your chance to stand out from the crowd. Interviewers will hurl questions at candidates and it can be hard to answer them all under pressure. Why are they asking you these questions? What do they want you to say? We took six of the most asked interview questions, and help you figure out how to respond to them. This question can be quite intimidating, since you aren’t sure how humble to be. Think of it like this – the company needs to hire somebody, or they wouldn’t have listed the job opening. Describe why you’re great for what the company needs. Interviews are a chance to sell yourself, and this may be the most direct way to pitch what you have to offer. Make it clear what the company needs and why you can meet and exceed those needs. Be careful not to make it just about the company though – a common error. It’s important to show what you get out of the job too. A company doesn’t want to hire someone to fill a job and move on (usually), so what’s your motivation to stay? What do you get out of the job? Possibly the most popular job interview question, seen on TV shows all of the time. You want to be honest, but you also don’t want to put off the interviewer – especially if you don’t plan on being at that company in five years. While it’s completely OK to not have a 5 year plan, you want to make it clear to your interviewer that you’ve at least thought about your future. Nobody wants to hire somebody that doesn’t plan ahead. If you don’t have a specific job in mind five years from now, stick with personal goals related to your professional career. This could be something like “land a huge client” or “create a successful marketing campaign.” Be ambitious but realistic. These obviously won’t be the same story, but are both very telling. Overcoming a challenge shows off your problem solving skills, and your ability to function under pressure. Talking about failure shows maturity though – both acknowledging that you messed up and that you’re willing to talk about and learn from it. Spin these stories to be as positive as possible, and remember to always keep them appropriate for a work environment. An answer to this shouldn’t take too long, and should be focused on your professional history. If you’ve just graduated from school, your interviewer doesn’t expect an extensive history, so don’t embellish or it could cost you the job. 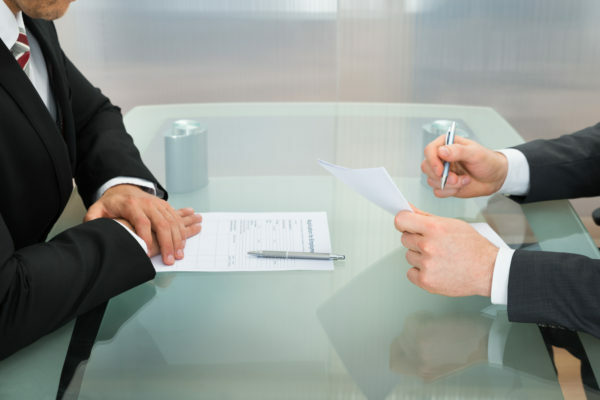 Interviewers know when they’re being lied to – 56% of lies on resumes get caught. Stick to what you know and how it relates to the position. Leadership positions are always a plus, as well as hobbies if they’re relevant. Talk up your internships whenever you can. Not only is it important to discuss what you’ve done, but also what you’ve learned. This shows that you can complete tasks as well as think critically. Companies are always looking for fast learners, and if you can prove that you learn fast and have a positive attitude, you’re on your way to a job offer. This is a great opportunity to demonstrate that you’ve done your homework before the interview. Highlight a few key factors about the role and the company, and explain how they relate to you. If the company is explicit in its desire to give back to the community, talk about why that matters to you. The goal is to prove that you’ve thought about the job and didn’t simply show up. Talk about how this job in sales (for example) is an opportunity to learn more about a product you’re passionate about, or a chance to learn more about business operations. Showing that you’re eager to learn more about the company, and more importantly functions of the job, will set you apart from the crowd. “I work too hard” or “I care too much” don’t cut it here. The interviewer is looking for any immediate red flags that could come up, but also assessing your self awareness. You’re not perfect. Nobody is. The solution is to identify something you struggle with but are actively working on solving. Keep it professional, but use this as a chance to show your human side. “I talk when I should be listening” or “I need to work harder on being open to new ideas” both demonstrate that you know you have a problem, but that you’ve identified it and are working on a solution. Need help getting to the interview stage? Worry not. Check out our guides on resumes and cover letters. Looking for more career advice? TransparentCareer offers free data on compensation packages, salary negotiation, and career pathing. Sign up for a free account here.